In a letter dated August 30, 2013, “Escrow and Independent Informal Dispute Resolution (Independent IDR) Process for Nursing Homes – Applicable to All Civil Monetary Penalties” (Ref: S&C: 13-57-NH), CMS updates the course of action for the imposition of Civil Monetary Penalties (CMPs) on a standard or complaint survey. Within its December 2011 S&C Memorandum 12-08, CMS implemented new provisions that applied escrow to CMPS that were based on survey deficiencies that had a scope and severity of “G” or higher (actual harm and immediate jeopardy). The next phase of that implementation will be effective October 1, 2013, and escrow will be applied to deficiencies cited at a “G” or below, which means all deficiencies with Civil Monetary Penalties in nursing homes will be subject to collection and escrow. 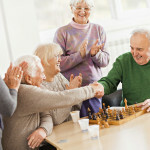 Nursing homes have the ability to request an independent informal dispute resolution (IDR), and States may not charge facilities for the independent IDR process.